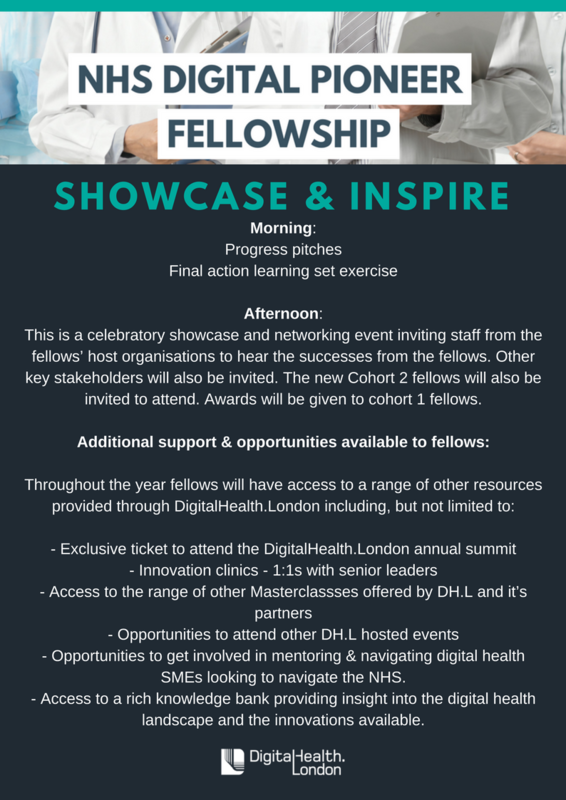 Following the success of last year’s search to find leaders and innovators working within NHS organisations in the London regions, driving digital transformation within their organisations, DigitalHealth.London is pleased to announce its fresh commitment to supporting our NHS partners in 2018 as part of its new NHS Digital Pioneer Fellowship. 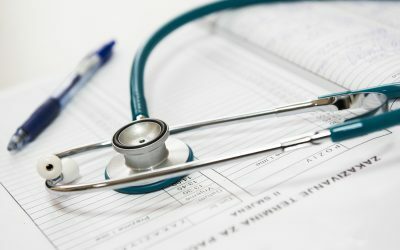 The scheme provides NHS clinicians and healthcare professionals charged with innovating and leading digitally-led transformation projects and programmes within their organisations with a unique opportunity to develop their knowledge and capability in innovation scouting, problem solving and leadership over a 12-month period. 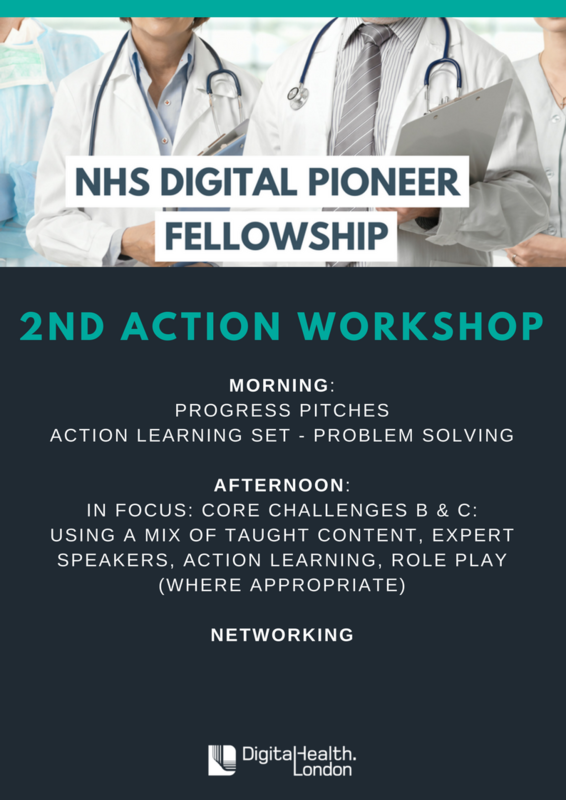 The fellowship aims to help Mobilise a growing cohort of NHS staff better able to meet the digital challenge of healthcare delivery; Support individuals through a peer and expert network in bringing innovation into practice; Develop the capability and skill base required to lead innovation. 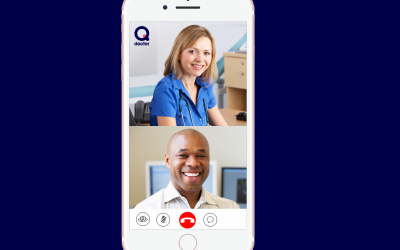 The organisations currently in the scheme are: Imperial College Health Partners, University College London Partners, Health Innovation Network, MedCity, Faculty of Medical Leadership and Management, NHS London Leadership Academy, NHS England, Corsham Institute. 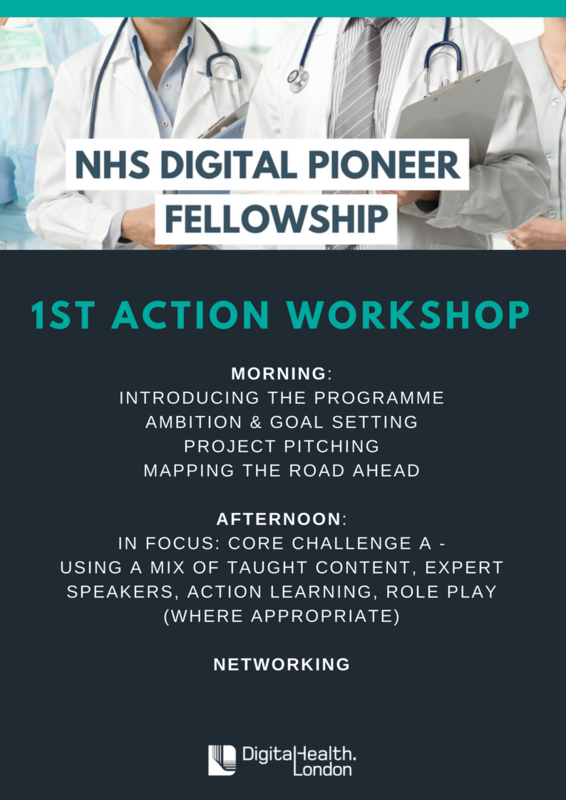 NHS Digital Pioneer Fellows have the opportunity to be part of an action focused community that brings together like-minded colleagues for the purpose of accelerating the pace of transformation where digital innovation plays a big part, within their respective organisations. 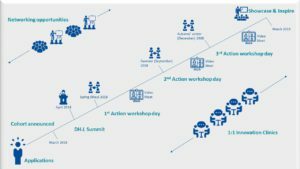 The individuals taking part have access four times a year to ‘action workshops’ to share challenges, coach one another, learn from experts and collaborate to co-design solutions together. 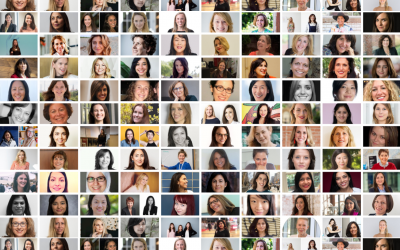 The host organisations that sponsor the fellows benefit in that they are investing in developing leaders that can build the organisations’ capability to put innovation into practice. 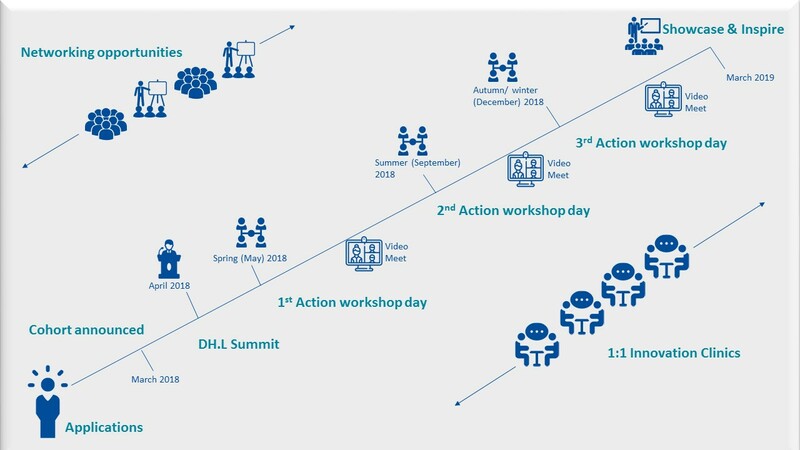 As well as bringing back to the organisation the latest knowledge and insights from the digital innovation world. Staying one step ahead. The participating partner organisations have the opportunity to be part of a prestigious scheme to develop a growing pool of ‘digital innovation fellows’ who will go on to shape healthcare in this country. Candidates may apply for a place on the scheme during the recruitment period held from the 15 November 2017. Applicants must complete online application form below. Successful applicants will be informed in mid February 2018. Currently hold a position where responsibilities include either/ or all of the following: innovation, transformation, digital. Submit application form which includes an example of a work-based transformation/ innovation/ digital project that they have been involved with. Work in an NHS organisation located in a geography covered by one of the 3 London AHSNs. Provide a written statement of support from their host organisation. Confirm that participation on the fellowship is in line with their general PDP & training needs. Confirm ability to 4 days a year to attend quarterly fellowship learning events.